A cardinal rule of marketing is not to piss your customer off. With this in mind, we failed to understand that in order to purchase tickets to witness the above event, music fans had to download an app – BANDIT (which we could not even find at the Apps Store) – and buy tickets through the app. Exclusively. Inconvenient to say the least. And then, they posted an image on Facebook claiming that tickets could be bought at the door. However, when we went to the door, we were told that we had to register an account before being able to purchase tickets. So how is this “buying tickets at the door”? Flabbergasted and annoyed. Business people need to understand that the general public respond to convenience and user-friendliness – this requirement is the complete opposite of that. There must be a better way to get people to download your app than forcing it down people’s throats. 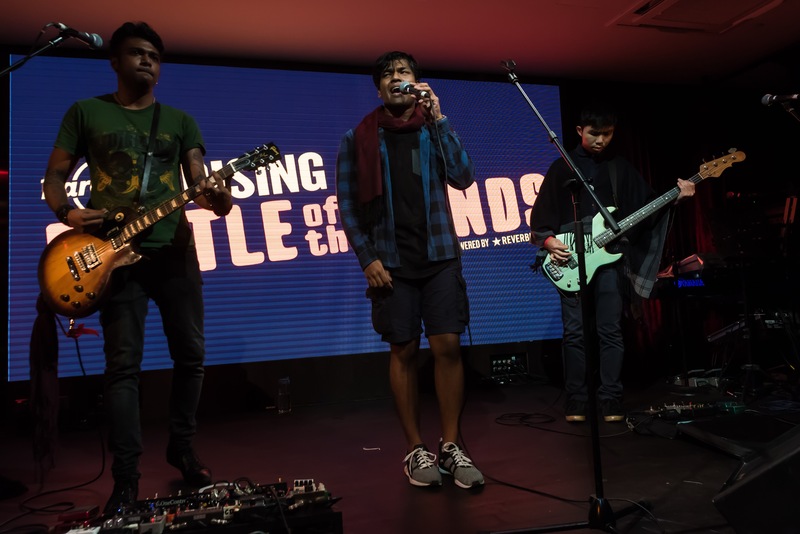 Considering the fact that commercially, rock music is somewhat on a decline right now, Hard Rock Rising’s Battle of the Bands is a shot in the arm for the Singapore rock scene. 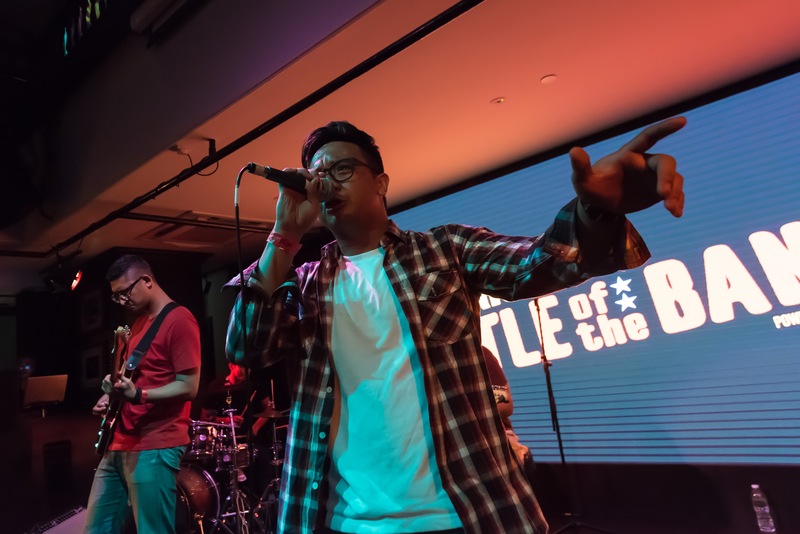 Seven bands vied for the right to compete in the regional finals of this competition on Thursday night (May 25th) at the Hard Rock Café. For us, it was the appeal of three bands that got our attentions viz. 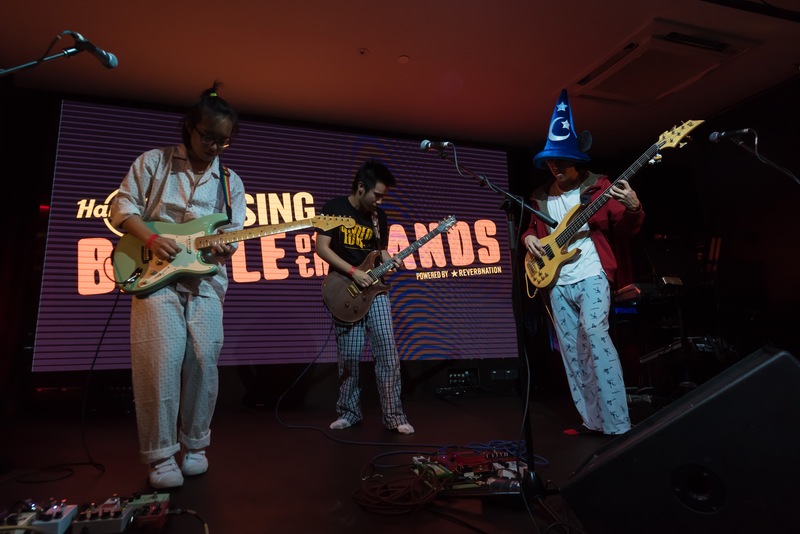 the visceral organic rock n roll of The Intimate Friends, the radio friendly 90s-styled pop-rock of Gilded Edge and the grunge tribute of Lula the Magic Queen, all of which acquitted themselves well. However, the winner turned out to be Faraday, which they richly deserved although our own choice would have been The Intimate Friends – purely because what these kids are doing is so close-to-the-bone of everything Power of Pop believe in – for their own distinctive take on alt-rock, grunge and even mat rock! 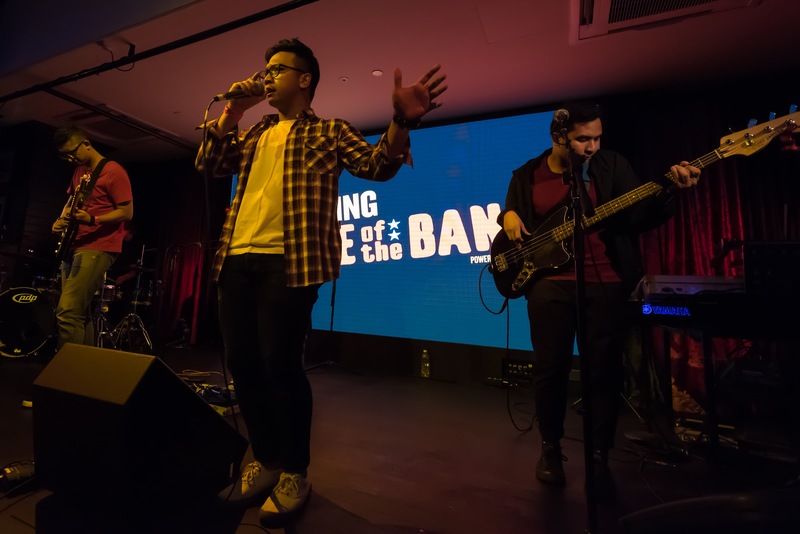 So, all the best to Faraday and hopefully we will see more young rock bands come to the fore in Singapore. Kudos to all. 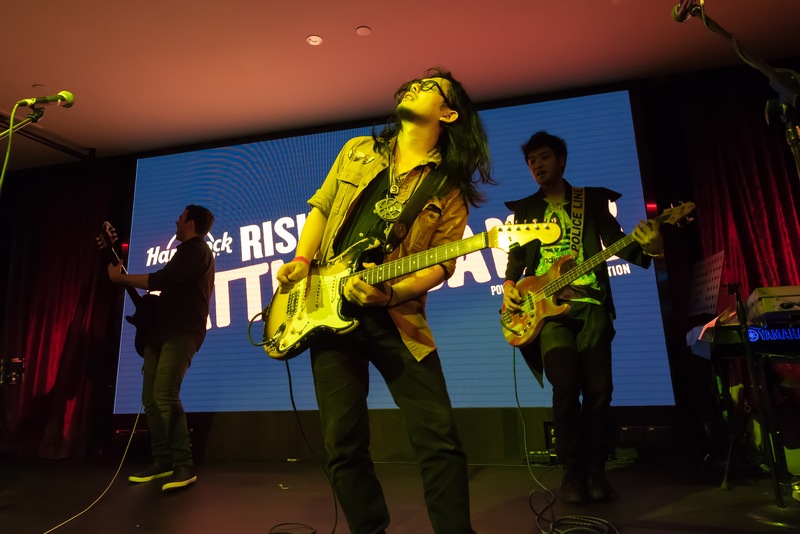 Photos courtesy of Hard Rock Café.